Looking for a workout that's also fun? Gracie Jiujitsu of Southeast Missouri is a We Defy Approved Training Facility. I love Gracie Jiu-Jitsu Southeast with Coach Brian for many reasons. It is just a great atmosphere for all people to come together to learn the art of martial arts and to build confidence of self defense! My son started taking jiu-jitsu with Coach Brian at the age of 4. Since then he has made new friends and has enjoyed learning defence moves that he will be able to take with him where ever he goes in life. I also like how everyone pulls together to help Coach Brian teach the little kids class and have more one on training whenever new moves are being taught. Coach Brian is awesome with each student at the academy and he shows his love of the art with each and everyone of them big or small!! He takes pride in what he does and shows it thru his teachings. Everyone at Gracie Jiu-Jitsu SEMO is now family to us! If you find yourself becoming angry for no reason. Jiu Jitsu can help you learn to control yourself. You will then realize that anger was a waste of energy, and that it only has a negative effects on yourself and others. Whether you are angry, depressed, bored, looking to get in shape or maybe even meet some new friends there is an option. Come to the academy and try a class. You don't need to be an athlete. You just need to take a step through the door. Upon entering you will be greeted by the best Professor in the region. The academy is top notch. If you are looking to for self defense, becoming a competitor, or just want to do something for fun this is the place for you. I have been here for 3 years and still enjoy my time here. I have met some great people. So I will leave this review saying one thing that Professor Imholz does, and that is teach great Jiu Jitsu to good people. Cape bjj is the best in the area at teaching Jiu-jitsu. As a small business owner I can leave my troubles at the door, surround myself w/good people, get a great workout, & learn very practical self defense skills that I can continue to do as I get older. Not to mention that my whole family can attend classes that suit their capabilities. Its a no brainer come see for yourself! 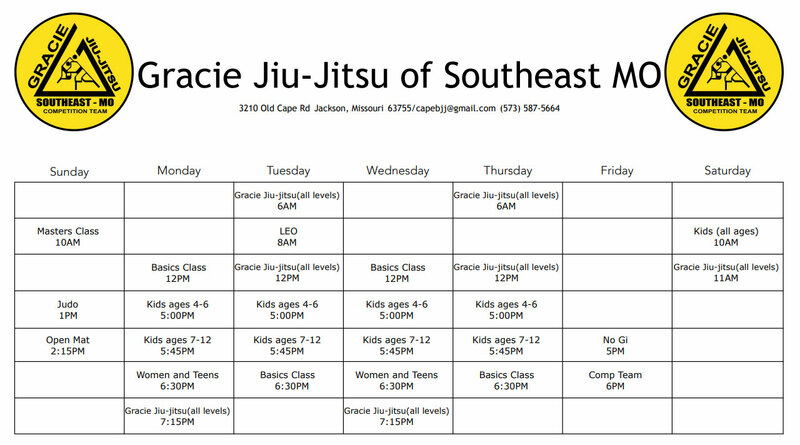 I've been training with Brian at Gracie Jiu-Jitsu of Southeast Missouri since February 2013. As a previous student of martial arts, I can honestly attest to the fact that the quality of technique taught at this academy is second to none; this coupled with the first class professionalism exemplified by Brian makes Gracie Jiu-Jitsu of Southeast Missouri one of the best, if not the very best Brazilian Jiu-Jitsu academy out there. I truly feel blessed to be able to call myself a member and one of Brian's students. If your child really wants to try out martial arts and you are afraid that they may punch or kick someone at school or home then this is the perfect place for you! Gracie Jiu-Jitsu is a self-defense system that enables the people who practice it to defend themselves by using leverage to submit opponents. This is done without throwing punches or kicks. Using our proven techniques your child will be able to defend themselves from bullies even though we do not teach them how to strike. Gracie Jiu-Jitsu is a fantastic way to promote an active and healthy lifestyle for kids of any ages. 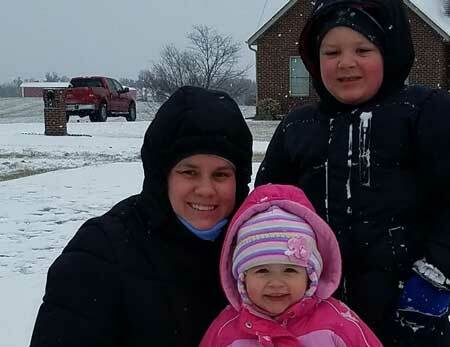 Parents of our students often find that their children gain self-esteem through athletic achievement and learn how to carry themselves better in situations that require them to deal with pressure. If your son or daughter is acting overly aggressive in school, lacks focus and or discipline then we at Gracie Columbia recommend you start them out with a private lesson to introduce them to the sport and class structure. They will learn that Commitment, Respect, Focus, Self-Discipline and effort always make a rewarding experience and bring positive results. What makes Gracie Jiu-Jitsu so effective for kids is the fact that instead of learning moves through katas or prearranged set of movements carried out on a cooperative training partner, they will learn how to apply grappling techniques on a resisting training partner who's not cooperating and is counteracting with his own moves, much like as what you'd see on the streets. Jiu-Jitsu, which literally means the gentle art, is a famous form of self-defense that does no rely on physical strength and power., Using techniques of strikes, holds, locks, chokes, throws, and evasions, it employs mechanics though leverage and knowledge of human anatomy to overcome any attacker with minimal effort and strength. Jiu-Jitsu teaches self-confidence, improves self-esteem, relieves stress, and increases the ability to focus. What are the benefits that I may get from Gracie jiu-jitsu? Including the Gracie Jiu-Jitsu to your routine can help you get in shape, gain confidence, and release stress, all while forming a network of like-minded people sure to motivate and inspire you. The Gracie San Diego Academy not only excel in this great martial art, but offer a safe, friendly, and family-style atmosphere that many of our students consider their second home. 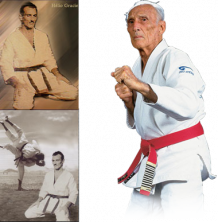 What makes Gracie jiu-jitsu different from other martial arts? 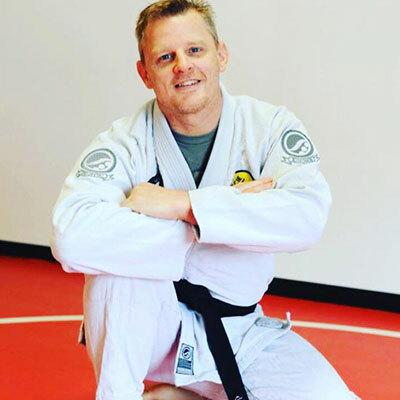 While other martial arts rely heavily on strength and speed, Gracie Jiu-Jitsu relies on superior technique and leverage. Any fitness level is welcome to the classes. What we emphasize in our classes are hard work; therefore, everyone is welcome and we will make our best to accommodate you. As lessons progress so will your fitness and lessons will become easier. Our team will ensure a progressive and gradual plan to help you acclimate to our programs while achieving your fitness goals. Am I too old to train? We have students of all ages, each with different goals in mind. Whether you are 7 or 89, our classes and programs are designed to provide results at any age and are enjoyed by both younger and older students. Will i be expected to compete? Competition is encouraged for those who wish to do so but it is NOT a requirement. While there are many positive reasons for competing in tournaments, you will never be forced. However, over the years we have noticed that students who compete make huge improvements in their BJJ. In classes we have a positive atmosphere and a level of mutual respect. Classes are fun and friendly but still cultivate a positive learning atmosphere. Women are welcome to take part in any of the classes we run. What's the deal with belts and promotions? Belts go as follows: White, Blue, Purple, Brown, and Black. One of the main differences between BJJ and other martial arts is that it is hard to get promoted. At a blue belt level, you can almost be considered a lethal force. It will take commitment because we are committed to producing students with real ability. We do have a curriculum we go by to help you and once you exhibit competency in the techniques acquired you may qualify for a promotion. The gi game obviously has a lot more to it. Everything that can be done without the gi can be done with it, making it a more complex game. Additionally, taking away the gi allows physical attributes such as size strength and slipperiness to come to play with greater effect due to the lack of levers and friction. Working with the gi is generally considered more of a thinking man's game. Not that no-gi isn't, it's just that the gi removes many physical advantages and ads more techniques. For now, you should view your kimono as a set of training wheels. As you develop a higher level of proficiency, you will learn to perform Jiu-jitsu techniques both with and without a kimono. For now, the kimono will add a level of sophistication to your game that will result in you as a student becoming a more advanced and technical fighter. If sport Jiu-jitsu and advancement within a traditional belt system are not things you are interested in but you still want to know how to defend yourself then this is the program for you! Gracie Self Defense focuses on the self defense aspects of Gracie Jiu-Jitsu so that you learn the most effective techniques to protect yourself and your family in real-life scenarios. Taking the Self defense Course will enable you to feel in control of potentially threatening situations and make your self confidence grow! We will help you to build up your self-confidence, technique, strength and conditioning so that you reach all of the goals you have set for yourself. The self-defense course is a great introduction to the principles of Gracie Jiu-Jitsu, upon completion most students transition to our group classes to continue their training. We invite you to do the same, learn techniques that can save your life one day and if you love it like we know you will continue on with a sport that will have a long lasting positive impression on your life. 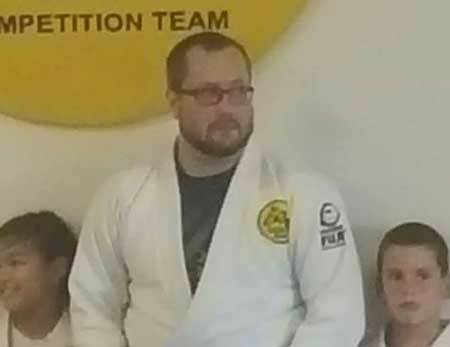 Brian Imholz is a black belt under J. W. Wright. 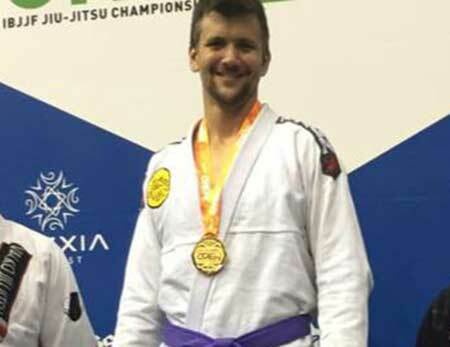 He is an avid competitor with a number of medals including Missouri State Championships, Extreme Grappling Open, Naga, Submission Challenge, two time IBJFF worlds medalist, and Respect 3 Pro Card competitor and champion. He also places an emphasis on the importance of self-defense, both studying and practicing the self defense applications of Gracie Jiu-jitsu. Ready to start your jiu-jitsu journey? 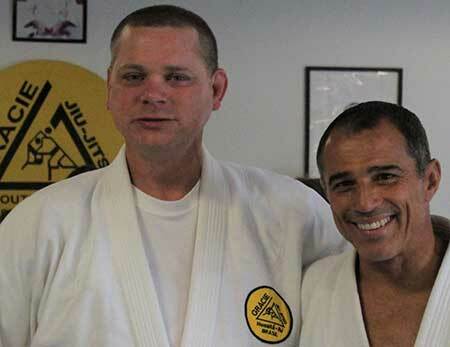 "The job of a Gracie Humaita teacher is to teach good people great jiu-jitsu."